Anime TV series: 30 works. 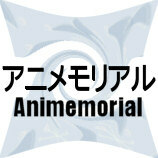 Animemorial is the encyclopedia about animes (Japanese cartoons) and japanese animation. The access is totally free and the database is in construction. Currently, the information are focused on the 60's and 70's. Uchû Ace is a anime TV series based upon a manga/original idea by Tatsuo Yoshida. It ran in Japan from May 8th, 1965 to April 28th, 1966 on Japanese channel Fuji TV and is composed of 52 episodes. The animation was produced by Tatsunoko Prod. in black and white.